We base our tuition on the total number of classes per week, with each class meeting 35 times. As each month has a potential for a different numbers of classes (i.e. December may only have 3 classes due to holidays while March classes may meet 5 classes) the tuition for 35 classes is divided into 10 equal payments. There are no additional costs for recital rehearsal and extra practice times. There are no make up classes for classes cancelled due to weather. We reserve the right to cancel a class due to low enrollment. Early Bird & Sibling Discounts available. Walk-in fee is $18 /class. If being committed to a class is not what you are looking for right now. You can pay as you go. Any class on our schedule, you can pay the walk-in rate. Boys who are new students to Danceworks registering in August get their first year of dance FREE by meeting a few tiny obligations. You pay only the registration fee of $30. 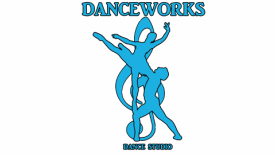 If dancer chooses to take multiple classes they will be charged for additional classes. The boys must dance for a minimum of 3 months or the family will be held responsible for paying tuition retroactively. The recital and winter performance are optional and if families choose to perform in them, they will be responsible for paying all fees related to these performances.